Please pause a moment if you are embarking on a “Christian” Seder, a “Christian” Passover meal. Whenever one group is in the majority (especially when in the vast majority), great caution needs to be exercised in relation to the minority in our midst. Mocking and scapegoating are integral to many majority reactions to differences with the minority. When it comes to Judaism, Christians need to be particularly careful. Especially in Holy Week. Ἰουδαῖοι (Ioudaioi), translated as “Jews” (NRSV, for example), has three meanings: (i) members of the tribe of Judah; (ii) Judeans (contrasting, for example, with Galileans or Samaritans); (iii) Jews (contrasting with followers of other religions). Both Tree of Life Bible: The New Covenant and Complete Jewish Bible use the word “Judean” (or “The Judean leaders”) to possibly better translate Ἰουδαῖοι in John’s Passion narrative. We should all be aware of the Christian reactions, historically, of persecution of Jews after hearing John’s Passion narrative. And none of us can forget the Shoah, the Holocaust, where this all ultimately led. Christians attempting to celebrate Passover regularly end up celebrating something Jesus would not recognise. Judaism has evolved. Imitating a contemporary Jewish Passover meal is celebrating something different to what Jesus did 2,000 years ago. And “Christianising” a hagadah is even more fraught. There is obviously value in studying the Passover, as it was in the Hebrew Bible period, as Jesus probably experienced it, and as it is celebrated now. Incorporating insights and foods into a meal sensitively is also worthwhile. Being invited by a Jewish family to join them in their celebration – a context where the Christians are humbly the minority – is a privilege. Christians have a well-developed Holy Week set of rituals. We should also ask ourselves what would make us abandon our own tradition and try to create other ones. Is the idolatry of novelty at work? 17 Responses to Christian Seders? Thank you, Bosco! You speak from the bottom of my heart. Since my year in Jerusalem I find it totally inappropriate to “celebrate” “holidays” which aren’t our tradition. I have no problem at all to attend a Passover meal or an other religious holiday as a guest WITH a Jewish family. But to celebrate it as Christians in a Christian context (mostly Holy Week)is just a no go. As I had many discussions on this topic so far, I usually ask what Christians would think if an other religion was to celebrate Eucharist. Thanks, Eva. Your final sentence is a helpful one for reflection. Blessings. I just wanted to say, as a Jew, how lovely and wise this post is. You have my gratitude. Thanks for the encouragement. May you have a joyous celebration of Passover. Blessings. Thanks for this helpful and wise post. Having experienced this over the years while being invited to share the Seder with Jewish friends, I’ve come to share the perspective you outline here. Christians should lean more heavily on a spirit of humility and caution toward Jewish sisters and brothers on this issue, resisting the temptation to colonize rituals and proceed as if history began yesterday. 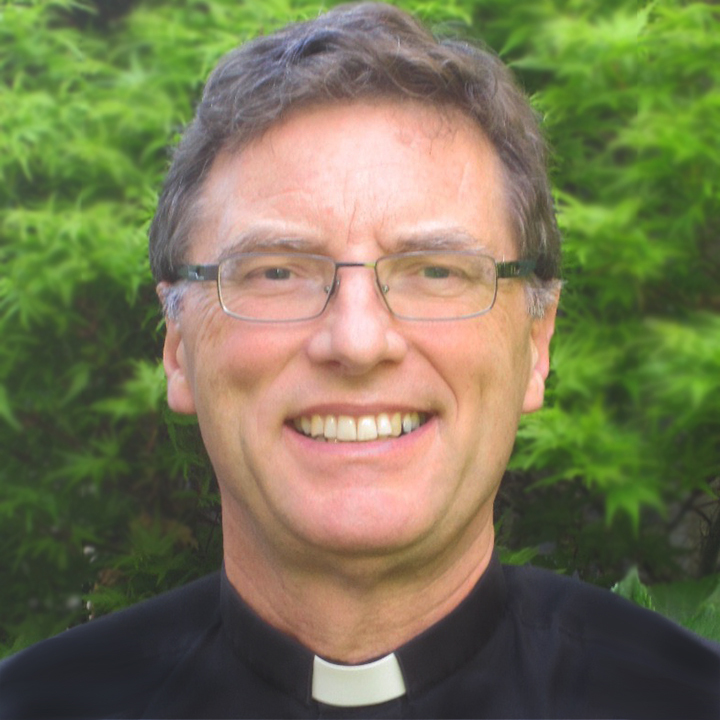 One salient yearning I’ve felt underneath these attempts at Christian Seders is the desire to bring a greater vitality and sense of community to Christian Eucharist and meal sharing practices, especially for emerging generations. I’ve seen this happen in a return to Agape meals and dinner church. I’m wondering what your thoughts are on it? I think you are right in your insight of your second paragraph. I don’t think the return to agape meals and sharing of food together is anything relatively new in my own experience. [I’m not sure if you are using “dinner church” in any specific sense?] Prayer and home groups I have been part of have shared food for decades. Sharing food, drink, and fellowship after Sunday church has long been important. My own passion has been about translating these insights and realities into our Eucharistic fellowship so that it is experienced as God’s family meal in which we all share as equals, rather than spectators at a ritual carried out up there far up the front on our behalf. Thanks, Br David. Fascinating. Blessings. Yet the two festivals are also fundamentally different: Easter seems to be a celebration through suffering whereas Passover is a celebration despite suffering. When this difference is ignored or minimized, both religions are compromised and distorted. That’s why, for example, I’ve always refused to accept invitations to conduct “mock” Seders for Christians, despite their sincere intention to fathom something of the Judaism of Jesus. Trying to explain my reason I sometimes ask how Christians would feel were I to illustrate their faith by passing around wine and wafers to give Jewish audiences a “taste of the Eucharist” and its possible roots in the Seder. 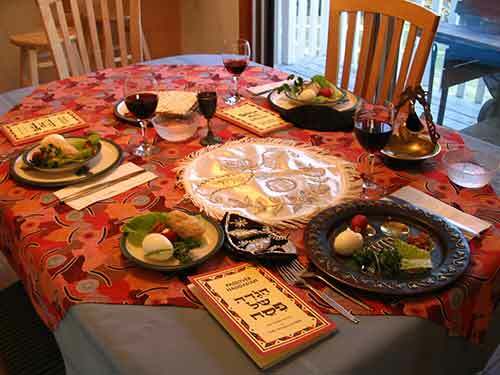 one.Getting the message of the Passover Seder does not just come out ofabook. The haggada is a chronicle of 3500 y:ears of history and not the one period in time of Jesus. Peace comes from understanding which leads to enlightenment. It is no coincidence that we have our holidays in the Spring, a time of renewal and rebirth for all things. Thanks, Jay. Southern-Hemisphere Jews will have the same issues with the final point you make as Southern-Hemisphere Christians do with the seasons of celebrations 🙂 Blessings. I like very much your article, Fr Bosco! Our Seder is the Easter Vigil. In the beginning, Christians had no Good Friday, no Maundy Thursday, no Ascension Thursday, but only one Easter vigil. At that time, the only question was whether to celebrate it the same night as Jews, or rather a Saturday-to-Sunday night. Yes, we are on the same page, Georges. Blessings. Seriously, though, it can be worthwhile for Christians to be well-informed about present-day Jewish practice. Hence there are circumstances in which demonstration-seders can be appropriate. Thanks, Timothy. What is a “demonstration-seder”? Would you also recommend demonstration temple sacrifice? Blessings. I would indeed recommend that those who have the means and convenient opportunity to do so should observe the Samaritan Passover sacrifice on Mount Gerizim. And a local demonstration of ritual slaughter might indeed be worthwhile, though not as easy to arrange as a demonstration of a ritual banquet. Thanks, Timothy. Yes, I’ve been to the Samaritan Passover. And I encourage people to go to that. As I do encourage people to accept invitation to share with a Jewish household. Christ is Risen!